Let us sort your linens out for you. New System is no traditional commercial laundry service. 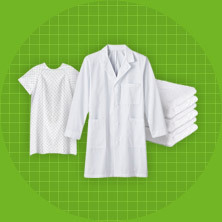 We are dedicated to providing total textile solutions for restaurants and healthcare facilities throughout the Pacific Northwest. We sort out the details so you can focus on your business. Starting with a consultation with a personal customer service rep, we help you determine your linen rental and laundry service needs. 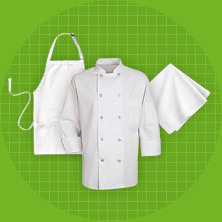 You’ll then have your choice of customizable, high-quality garments, tablecloths, linens and much more. Once everything is set, we handle inventory, delivery and pick up, laundry and even wear replacement. Contact a customer service rep today and learn what New System Laundry can do for your business.